Can anyone tell me more about it and why it is so great? 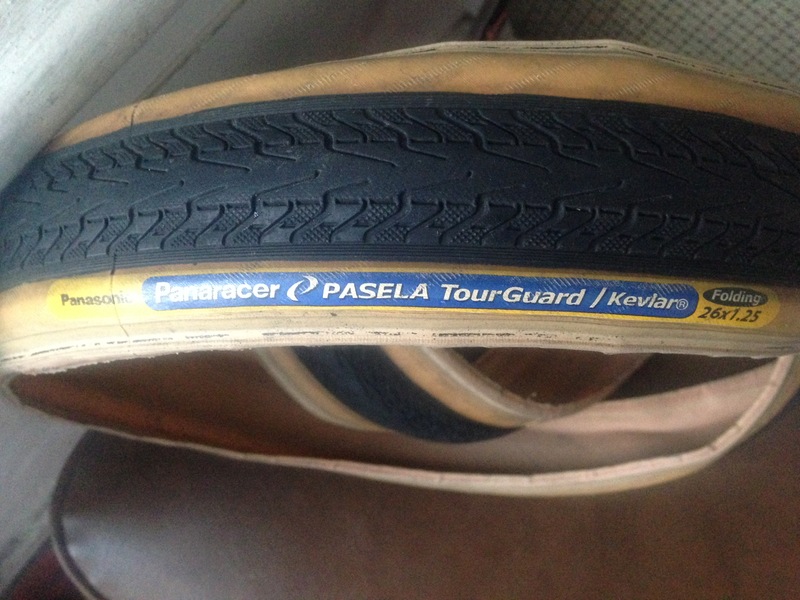 I use them on my touring bikes and love them. In thousands of miles I have only had 1 flat. They are easy to mount, durable and reasonably priced. Good enough for me. I need a set of gumwalls to put on the Motobecane I'm fixing up. They're pretty good tires for the price. Flexible sidewalls, long-lasting but grippy tread. In the 26" sizes, even the wire-bead models are lighter than a lot of other offerings. There are better tires out there, but you'll pay extra for them. Because the combo of cost, construction and performance matches your needs. Andy. 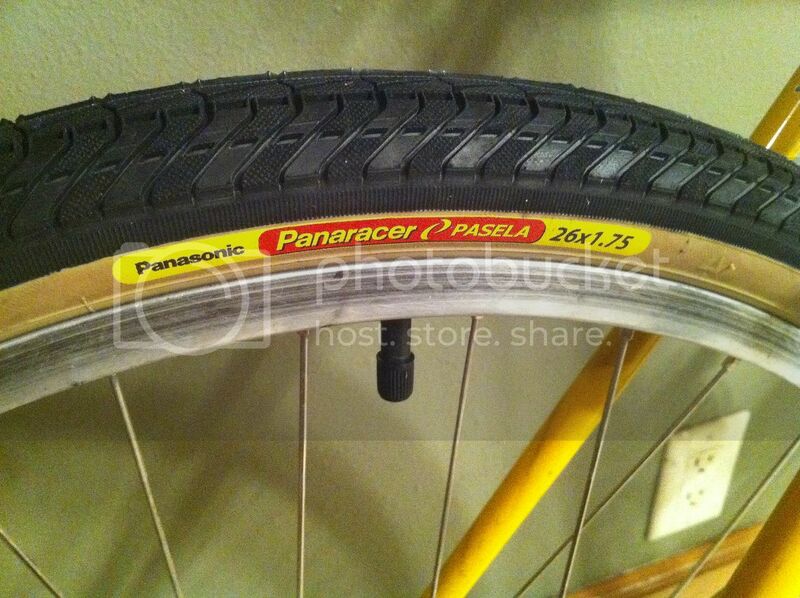 I have the same 700c tires on one of my Ironman bikes. I remember my first reaction to riding was surprise. They're quicker than I had anticipated. Although I've gad 2 flats on them, they're pretty durable. BTW, the flats were caused by very fine wire. Like what would be used in electronic wire but way stiffer. I'd classify that as a bad luck flat. I've sort of decided I'm happy with anything that rolls over glass shards without a puncture. Wire caused flats is exceptionally hard to combat. Like a sewing needle, wire will slip in between the fibers of woven breaker belts and casing plies. We see a lot of these flats at the shop. Usually auto tire wire (steel belted tires) and sometimes staples. Andy. Yup, at least one of my flats last year was from wire or a tiny shard of metal piercing between the tread. The 1 mm puncture shield couldn't stop that or grass burrs. Four flats in one month, three in one weekend, last fall. That got old, quick. I went with thicker rubber overall and a 5 mm puncture shield tire. Heavy but reliable. I've dug out a few wires, metal shards, glass splinters and goatheads, but nothing has completely penetrated the puncture shield. I was about to buy a pair of Panaracer T-Servs for the second bike a couple of weeks ago but couldn't pass up a twofer deal on Continental Speed Rides. So far, so good, with a smooth rolling and comfortable ride, although I doubt the Conti's diamond file tread pattern rolls quite as smoothly as the Panarcers. It just seems like that diamond file tread would be a bit squirmy and inefficient on pavement since it was originally intended for cyclocross.